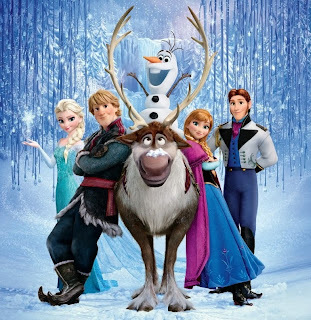 For me, Frozen is unusual in the Disney canon in that in a reversal of what I so often feel, my head tells me I should like it but my instinct is one of mild dislike. It has a lot of overwhelmingly positive things - a good story that makes some political statements for Disney, excellent performances, the best songs since Mulan (though admittedly I have a soft spot for the ones from The Tigger Movie), genuinely funny comedy, likeable characters and another box ticked in the 'Disney adapts classic fairy tales' list. And yet...I felt like for all the achievements, there was always something pulling the film down, so that in the end, I have to say that except when it came to songs, I much preferred Tangled, to which despite the creators' insisting that the adjectival titles are not linked, this is really very much the spiritual successor. It felt like a whole package, whereas to me, Frozen didn't quite seem complete. Well, I miss Kay and Gerda and the Thief Girl, and the fact is that The Snow Queen is one of the only - perhaps the one and only - classic fairy story where the boy is the one who's the captive in distress and it's the girl who sets out on the epic quest to rescue him. Despite the step forward for female empowerment that comes from Jennifer Lee being a co-director here and the first woman to ever have that position in Disney, sticking to the original's format, I think, would be much more the political statement for Disney, as well as being a story I always like hearing. Oh well, there's always TMS's World Masterpiece Theater-style anime adaptation, which is rather closer to the source...but I haven't actually managed to finish watching in eight years and really need to start again from the beginning. All that remains of the original, though, is the fact that there's a queen with powers of ice and snow...and the idea of a shard in the heart. Well, and that there is a reindeer and there are trolls, I suppose, though the latter are nice ones whose aesthetic - Troll Dolls meet Rock Lords via Jim Henson - just about ends up working. Other than that, well, about the only other point of influence is the vague cold-parts-of-Europe setting, mostly Norwegian but with very Western Russian high society and the Danish hangovers from the original. Otherwise, this becomes a story of two princesses in the fictional kingdom of Arendelle (no, not Arundel), one of whom secretly has mutant powers. When she accidentally nearly kills her little sister, she and her parents decide to essentially lock her away and for her powers to be kept secret forever. Of course, this is not so simple, and when she comes of age and is crowned queen, a bit of drama brings out her dangerous side and she flees to make her own Superman palace and hide away. However, she has inadvertently brought out an eternal winter and must be stopped. Loose ends are neatly tied, ice effects are beautiful and despite the rather cringy non-rhymes that reminded me far too much of the joke that was Crazy Town's 'Revolving Door', the big belting lead song 'Let It Go' is a triumphant ear-worm that ought to be one of Disney's enduring tracks. I actually know next to nothing about Idina Menzel, having to be told that she is acclaimed for being the original and definitive Elphaba in Wicked (and not being able to stand Glee), but this song was clearly written for her and her impressive lungs, and works well - with some very modern sassy moments so that it doesn't feel derivative. Both her Elsa and Kristen Bell's Anna (most recognisable possible Norwegian names for Americans, methinks) are believable, likeable, flawed and sympathetic. Hans, while rather cardboard, fits the story well and Kristoff - though I wouldn't mind a better transition from his childhood to his apparently solitary adult life. Then there was Olaf. I really think that Olaf was very misjudged. He was excellently written, with a series of fantastic jokes - especially his song about his absurd dream - and the vocal performance got the annoying-likeable balance just right. But...the design really, really didn't. I couldn't stand the design for the snowman - buck-toothed, repulsive, goofy and seemingly derived from what an artist from the Beano might have thought looked funny in the seventies, I really, really thought the film (and extended trailer featuring a skit with him and the reindeer) would have been much more appealing had he looked...well, more like a snowman, and less hideous. So yes. There was a lot to celebrate here, and Disney's main CG studio is in a very strong position after Tangled and especially Wreck-It Ralph, but several factors held me back from wholeheartedly liking what I saw. Also worth mentioning, though, was the short that came before the main feature, Get a Horse!, which was a rather sweet attempt to recreate classic-era Mickey Mouse with a modern twist. Also directed by a woman - Simpsons and Avatar episode director Laura MacMullen - which makes her the first ever woman to direct a Disney film solo, it is a conscious attempt to be classic, featuring Mickey, Minnie, Pete, Clarabelle Cow and Horace the Horse - and even for one moment that made me fanboy for a moment, Oswald the Lucky Rabbit. Opening with a very passable imitation of the Golden Era (though with its smooth in-betweening, non-jerky rhythms and scale of characters on screen (as well as lack of random violence to animals) is easily identified as a modern imitation even before the gimmick - of bursting out through the cinema screen into CG and being able to manipulate the film to rescue Minnie, that is. They also quite charmingly decided to opt for sounds extracted from the archive of the early cast - including, of course, Walt himself - which is only slightly stilted and awkward. Generally, a fond nod to days past that I found quite charming. I really need to revisit the early cartoons more myself. I thought it was excellent and actually liked it a lot better than Tangled. While I thought Tangled was good, it had this sort of overly-modern feel to it in the look and the way the characters acted that just didn't have that classic Disney charm. Maybe it had too much slapstick for my taste or the characters just seemed too stereotypical for me. 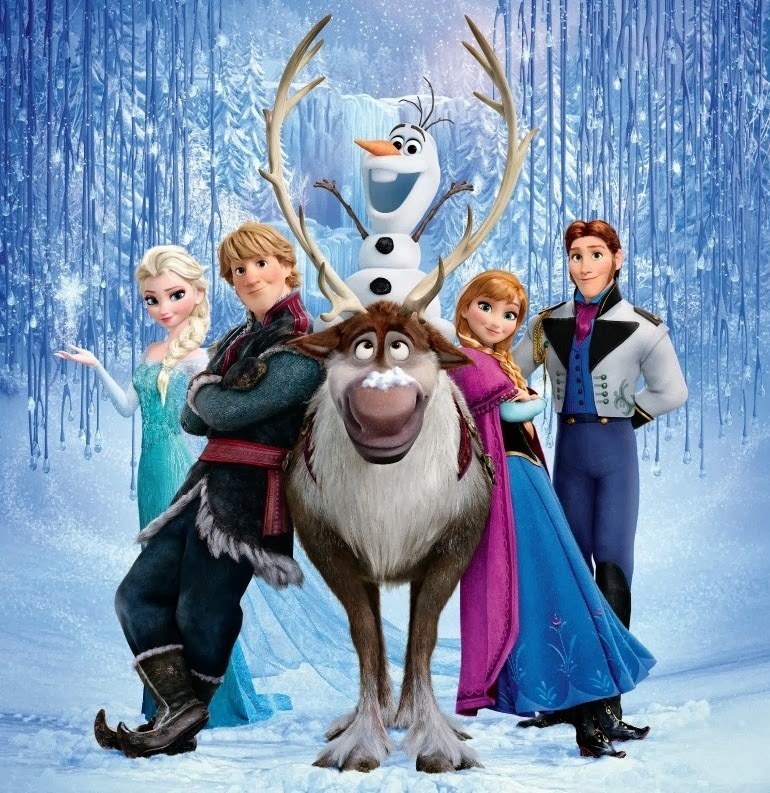 Frozen, however, had a lot more Disney charm, and overall I thought the story and characters were way more memorable. What I really liked about Frozen was how it broke away from so many old Disney cliches while simultaneously bringing back what's good from classic Disney, like the Broadway style songs and fairy tale based story. But at the same time it had many unique aspects; it's about TWO princesses, sisters even, and one actually becomes a queen...who's not evil! How often does a Disney movie have a good queen...or even focus on sisters rather than just the one headstrong princess who "wants something more." There were many other thing too that gave a good twist to typical Disney tropes - questioning why someone would marry someone they just met, the fact that it's Anna who actually goes out to save her sister rather than the guys, and the idea that "true love" wasn't just the guy and girl kissing. It just had so many things that wowed me and kept me invested. Even the snowman who I thought was going to be annoying was actually funny and likable. Maybe the only thing I didn't like about the movie was how Hans did a total 180 and became a typical cheap villain. But one jarring twist wasn't enough to spoil everything else I liked about it. How well it followed the original Snow Queen story is irrelevant to me since I'm not familiar with the story. And Disney making tons of changes to the fairy tales their movies are based on isn't anything new. I loved the music in Frozen so much I've been listening to the songs everyday since the day I got out of the cinema. I notice you think Frozen has the best songs since Mulan and wonder why you didn't make the comparison to The Hunchback of Notredame as it was also a "musical Disney" similar to Frozen. Personally I think the music in The Hunchback is quite underrated and deserves some love. That main song is such a good earworm. Since Mulan was after Hunchback, saying it was the best one since then isn't saying anything negative about that film. Only that the films after Mulan and up to this one haven't been quite as strong. Hunchback had a very strong set of Menken songs - though I can't say I put it up there with the likes of Aladdin or The Lion King.